Fresh Online applications are invited for B.Ed. regular course admission against vacant left over seats (Haryana Quota) in Govt. / Aided and SFS Colleges of education situated in Haryana. The Candidate who had applied earlier but could not take admission due to any reason, also will have to apply afresh along with Reg. as well as counseling and late fee of Rs.3000/-(General Category candidates)and Rs. 2625/-(For SC/BC/PH/Female candidates of Haryana only). Prospectus containing all the details, procedure and vacant / leftover seats will be available on University website i.e. www.crsu.ac.in, www.hrybed.in or www.hrybed.net w.e.f.14/10/2018. Note :-The interested candidates may apply afresh online and get them self registered for counseling as per schedule and should fill up their choices carefully after checking vacant seats status in the different colleges. Fresh Online applications are invited for B.Ed. regular course admission against vacant left over seats in Govt. / Aided and SFS College of education situated in Haryana. The Candidate who had applied earlier but could not take admission due to any reason, also have to apply afresh along with Reg. as well as counseling and late fee of Rs.2000/-(General Category candidates)and Rs. 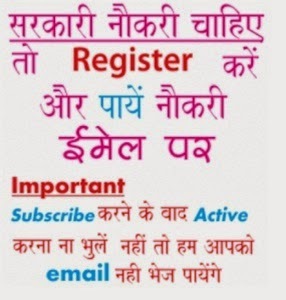 1625/-(For SC/BC/PH/Female candidates of Haryana only). Prospectus containing all the details, procedure and vacant / leftover seats will be available on University website i.e. www.crsu.ac.in, www.hrybed.in or www.hrybed.net w.e.f.12/09/2018. Colleges are advised to complete their online reporting of Phase2:Round1 by 04/09/2018 3 pm positively. Otherwise the not reported candidates will be marked absent and these candidates will not be considered in next round(s). Phase I & II online application form available from 01-08-2018. Register upto 16/August/2018 5 PM to fill Govt. / Aided College choices. (for SC/BC/PWD and Girls candidates of Haryana Only). Candidates with atleast 50% of marks either in the Bachelor’s Degree and/or in the Master’s Degree of Kurukshetra University, Maharishi Dayanand University, Rohtak C.D.L.U., Sirsa and Bhagat Phool Singh Mahila Vishav Vidayalaya or any other qualification recognized as equivalent thereto are eligible for admission to the programme. Note: - (a) In case a candidate has passed the Master’s Degree Examination also along with Bachelor’s Degree, the higher percentage of marks obtained in either of the two will be taken in to consideration while preparing the merit. (b) 45% marks for SC/ST candidates. (c) 45% marks for Blind/Physically Handicapped and Visually Impaired candidates. (d) There shall be no rounding off percentage of marks of the qualifying examination from 0.5% and above to next higher number for determining eligibility i.e. 49.5% and above will not be rounded to 50%. (e) Compartmental Candidates will not be allowed admission in B.Ed. Regular Course in any case. No one who is already in employment (Whole-time, part-time, or Honorary Capacity) shall be admitted to the B.Ed. (Regular) Course without taking leave from the employer for full academic session. Candidates seeking admission in educational institutions (including medical & technical institutions) located in Haryana, may not be required to produce residents certificate, if they have passed the examination from a school/ college situated in Haryana. For this purpose, a certificate of the Principal/Headmaster from the concerned institution where the children/wards studied last should be considered sufficient. The Principal/Headmaster of the institution shall be competent to issue such certificate, which should be sufficient. Attested photocopies (03 copies) of 10th Class Pass Certificate & Marksheet. Attested photocopies (03 copies) of 12th Class Pass Certificate & Marksheet. Attested photocopies (03 copies) of Graduation (B.A/B.Sc/ B.Com-I, II, III) Yearwise Marksheets. Attested photocopies (03 copies) of Post-Graduation (M.A/M.Sc/ M.Com-I, II) Yearwise Marksheets. Original Migration Certificate (candidates of Universities other than K.U.K). Migrated students seeking admission in B.Ed. course have to submit all certificates in original along with attested copies within 15 days after the date of admission. (i) Original Character Certificate from the head of the institution last attended. (ii) The candidates who have gaps in their academic career must furnish a gap year certificate stating reasons for gap(s) in the form of affidavit and it should also include the Character Certificate of the gap period from Notary/First Class Magistrate. 2. Medical Fitness Certificate from Registered Medical Practitioner not less than M.B.B.S. or C.M.O. 3. Married Women Candidates will submit a Certificate by the Registered Medical Practitioner not less than M.B.B.S. or C.M.O or Gynaecologist to the effect that the married woman candidate is not in a family way. 10 copies of Passport size photographs. Note: Students seeking admission in B.Ed. course have to submit all Original certificates as Photocopies Got to BE VERIFIED AT THE ADMISSION CELL of the institute at the time of Counselling & Joining the institute. No column should be left blank, Write “N.A.”(Not Applicable) if any column is not relevant. In Case of any of the document lacking or incomplete forms or originals not verified at the time of admission, the admission shall be treated as provisional. The candidate has to complete the discrepancies if any left within 5 days after admission. Failing which, the admission stands cancelled. 1. The duration of the course of instruction for the Degree of Bachelor of Education (B.Ed.) shall be one year. d) One assignment in each paper. 3. The rates of examination fee to be paid by the candidates shall be as prescribed by the University from time to time. 4. The examination shall be held according to the Scheme of Examination and Syllabus as approved by the Academic Council from time to time. b) The candidates shall write their answers : In English or Hindi in the case of other subjects. 6. The minimum number of marks required to pass the examination shall be 33% in each subject (Written and Practical separately) and 40% in the aggregate. Highest scorer in the House Examination. Top five students of Annual Examination. All rounder/Best student of the session. 9. During one year of Degree Course, no candidate is allowed to continue her studies in any other college/ institution/ university as a regular or private candidate. If a candidate is found indulged in doing in such a practice, a disciplinary action to the extent of cancellation of her candidature will be taken against her. 10. In case a candidate is found to have concealed any material fact/given wrong information his/her candidature will be treated a cancelled. Each successful candidate shall be awarded a Degree stating the division obtained in Annual Convocation Function which will be organized by the college.